Thank you very much Mr. Patrick Hyman, Master of Ceremonies; Mr. Bismark Sitorus; Ms. Pamela Ugaz, of the United Nations Conference on Trade and Development; Officials of the Ministry of Foreign Affairs and the Guyana Revenue Authority; Representatives of the National Committee on Trade Facilitation; Members of the Media; Ladies and Gentlemen. I am delighted to be able to join you today at this National Workshop which is intended to address capacity on the WTO Trade Facilitation Agreement. The workshop is itself a result of ongoing engagements between the United Nations Conference on Trade and Development (UNCTAD) and the Government of Guyana; and it provides an opportunity for discussion on a subject that is very important to Guyana that is strengthening our nation’s competitiveness, increasing exports, and growing our economy. Trade facilitation is a key component of trade policy and involves collaboration with a number of partners. I am therefore pleased to see the wide representation of the regulatory agencies of Guyana’s National Trade Facilitation Committee (NTFC) here today. I believe that this reflects your understanding of your role in facilitating implementation of the agreement. I also would like to recognise our trade facilitation experts from UNCTAD, who are here today to share their expertise and experiences and to provide support to the national trade facilitation committee with respect to: (1) developing a national facilitation roadmap; (2) sharpening the skills necessary to effectively implement reforms under the WTO Trade Facilitation Agreement (TFA); and (3) sustaining the work of the national committee. I hope that all of you take this opportunity to have a very lively discussion with them, and to learn as result of this four day exercise. Despite the gains to world trade through dismantling of tariffs and quota systems, the continued presence of inefficient and unpredictable measures remain a barrier to global trade. Bureaucratic delays and “red tape” make the process of moving goods across borders, a burdensome one for traders. Therefore, the completion of negotiations on the Trade Facilitation Agreement, which entered into force on 22 February 2017, following its ratification by two-thirds of the WTO membership, has been seen as a watershed moment for the world trading system. It was meant to contribute to the simplification, modernization and harmonization of export and import processes. In essence, it should ensure that global trade grows faster, is cheaper and more predictable. Trade facilitation can be seen as an important issue for the world trading system because of the costs of foregone trade associated with inefficient systems. One frequently referenced report by the Washington-based Peterson Institute estimates that implementing the trade facilitation reforms under the TFA would expand global trade by as much as US $1 trillion annually. Additionally, several studies show that implementation of the Trade Facilitation Agreement would reduce trade costs by an average of 14.3%. Developing countries’ exports are also expected to grow and that is between 13.8 and 22.3% while they become more diversified. Why does the TFA matter for Guyana? The TFA matters for Guyana because– its ratification, entry into force, and implementation important for developing countries like Guyana. We are expected to be the biggest beneficiaries from implementing the TFA’s provisions because, according to the OECD, the regulatory and logistical systems of developing countries are nascent. These countries are faced with some of the exceptional procedural obstacles at ports of entry and on internal trade. 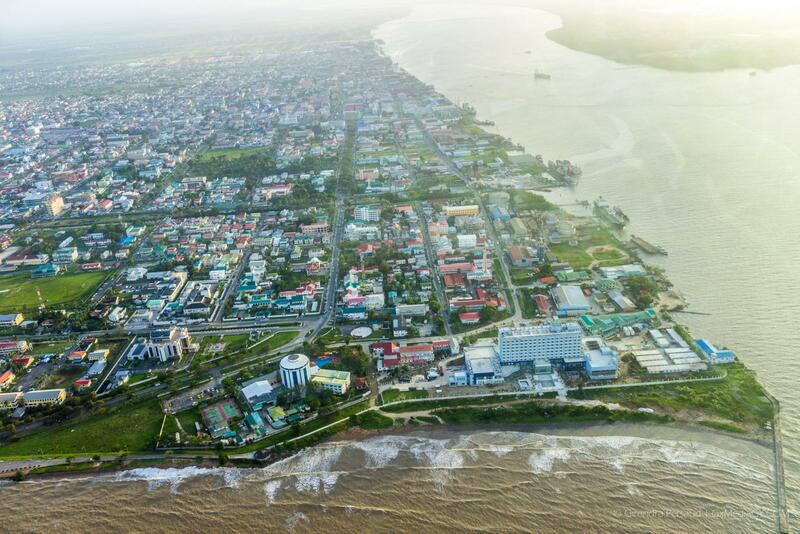 According to World Bank 2019 ratings, Guyana is ranked 134th out of 190 economies using the Ease of Doing Business index. This actually represents a decline over two years, since 2017 when the ranking was 126. Facilitating the flow of goods across borders is one of the areas of weakest performance in this index indicators. Guyana is highly dependent on trade, trade that is external and internal trade combined amounted to approximately 104% of GDP in 2017, so we are a highly trade dependent country. The COHA Report suggests that in Latin America and the Caribbean as a whole competitiveness has declined and that has resulted in the regions share of international markets declining. The region has also been able to leverage regional integration to develop complex value chains based on trade in intermediate products and production inputs. The report calls for an ambitious multisectoral policy agenda to inform trade policy. At the national level, it recommends the construction of “comprehensive, efficient, high-quality infrastructure systems that are clearly oriented toward internationalisation. Trade Facilitation and small business development in Guyana? Among the beneficiaries of trade facilitation reforms, I would like to emphasize the impact on micro, small and medium-sized enterprises (MSMEs), which pervade our business landscape. Global studies have shown that MSMEs represent something like 95% of global enterprises and account for least two-thirds of all private sector employment. MSMEs are also recognized as engines of growth, innovation, social integration and employment. In developing countries like Guyana, small enterprises play an important role in closing the development gap through their contribution to the reduction of poverty, women empowerment and income distribution. E-commerce represents an important avenue for MSMEs in order to increase their participation in global trade. This has been an issue in the recent rounds of negotiations at the WTO level. In anticipation of the 11th WTO Ministerial Conference, several developing countries submitted proposals reflecting concerns related to e-commerce and the continued involvement of MSMEs in e-commerce. Reports by UNCTAD and the International Trade Centre (ITC) also show that over 80% of small businesses are engaged in cross border e-commerce. Delays in trade facilitation reform therefore constitute a major setback for the integration of MSMEs into the world trading system because small businesses are faced with a number of challenges, such as limited capacity to deal with complex administrative and burdensome regulatory procedures which are associated with moving and selling goods across borders. The WTO-TFA therefore provides an important policy vehicle for developing countries like Guyana to address these barriers faced by small businesses. Studies show that the reduction in customs and trade clearance times associated with implementation of the TFA will increase small businesses’ likelihood of participation in export or international production networks (IPNs). It is precisely because of the anticipated gains that Guyana expects that it embraces the TFA and through the national trade facilitation committee, facilitates inter-agency cooperation for the purpose of implementation. Actions taken by Guyana to implement the TFA and simplify trade related processes. Ratification and Notifications requirement – Guyana ratified the TFA on Nov 30, 2015 and submitted five (5) requisite (categories A, B, and C) notifications to the WTO during the period 2016-2018, including those on its transparency commitments, and contact points for offices responsible for coordinating donor support. I am pleased to report, we are on schedule to fulfil its notification requirements on an ongoing basis and we have, according to the WTO Committee’s assessment, a current rate of implementation of 73.1% which places us well ahead of a number of developing countries, including CARICOM countries, whose average rate of implementation was 59.1%. Establishment of a National Electronic Single Window – the Government is moving forward with plans to establish a National Electronic Single Window (ESW) in partnership with the Inter-American Development Bank, with inputs from key stakeholders, funding for this project has been recently approved by the IDB in the sum of US$6M. Whilst the Ministry of Business is the executing agency for the Single Window Project, the Government has approved and empowered a National Steering Committee from the main agencies to make decisions to get the project off the ground. The Guyana Revenue Authority and the Ministry of Business co-chair this committee. 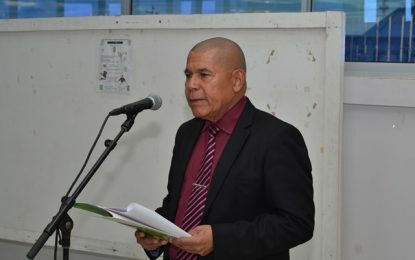 Transitioning to ASYCUDA World as a version of the Single window – the Government of Guyana (Guyana Revenue Authority) has procured the ASYCUDA world programme to aid with the modernization of manifests, customs declarations, accounting procedures, transit, suspense procedures, amongst others. With this application, Guyana aims to take trade facilitation to a higher level by the standardization of procedures along with the implementation of international norms and best practices. This will lead to a strengthening of Customs’ operations efficiency for control, improve transparency through full audit trails, and reform the customs clearing procedures, among other mechanisms. The Government will also be provided with accurate and timely statistics on foreign trade and revenue. Additionally, ASYCUDA will promote faster clearance time as well as lower transaction costs. This world platform is currently at its piloting stage, and a phased roll-out is expected during 2019. The cost associated with this project is being funded by the Government of Guyana. Development of a National Trade Portal – the Government has also embarked on a project proposal for the development of a National Trade Portal and that is with support of UNCTAD. This initiative is intended to promote an improved business environment for traders by facilitating easy access to information on import and export procedures that have to be followed. The development of a National Trade Portal will fall within the mandate of the National Committee on Trade Facilitation and is in keeping with the implementation of TFA Article. 1. The Ministry of Foreign Affairs is taking the lead role in executing this project. Supporting Regional TFA initiatives (in keeping with Art 24.5 of the TFA) – Guyana collaborates with CARICOM and has been part of a number of initiatives focused on developing a Regional Plan, Strategy and Roadmap to identify regional priorities and Technical Assistance as well as Capacity Building (TACB) needs. Guyana also participated in the inaugural meeting of the Regional Committee on Trade Facilitation (RCTF) which took place on February 1, 2019. The Ministry of Foreign Affairs continues to work closely with CARICOM Secretariat in order to address follow-ups actions required at the national committee level. Collaborated with the World Customs Organisation (WCO) for trade facilitation support initiatives –the Customs Administration of the Guyana Revenue Authority has collaborated and engaged stakeholders to benefit from several of the World Customs Organisation’s (WCO) Scoping Missions. These missions were focused on supporting the implementation of trade facilitation reforms and conducting gap analysis in areas such Time Release Studies, Coordinated Border Management, Single Window and Data Harmonisation. A National Quality Infrastructure (NQI) Project – under the National Quality Infrastructure Project, the Guyana National Bureau of Standards is currently conducting the training of personnel from the network of inspection, testing and certification bodies. This will enable these bodies to develop their quality management systems, in order to obtain accreditation to international standards, and allow enhancement of their inspection, testing and certification capabilities. A National Quality Policy was also launched in January 2019. This Policy is one part of the three-component US$9M Inter-American Development Bank (IDB)-funded project, to foster “National Quality Infrastructure for Economic Diversification and Trade Promotion”. As Guyana is on the cusp of an economic transformation these initiatives are invariably useful and positive steps towards advancing Guyana’s trade potential. Voluntary Partnership Agreement (VPA) EU FLEGT – as it pertains to other matters of standardization and trade facilitation, the Government of Guyana and nore pwrticularly Guyana Forestry Commission has initialled an agreement with the EU in November, 2018 to commence implementation of a Voluntary Partnership Agreement. Under the terms of this agreement, products with FLEGT licences can automatically enter the EU market. This will allow for Guyana to potentially have access to a wider range of premium markets, especially those that require strong environmental and forest legality compliance. This also sets Guyana apart in a positive way from its counterparts in the timber market. This initiative will also be a step toward removing the existing UK restriction on imports of Guyana’s Greenheart into the UK. Notwithstanding these initiatives undertaken to date, there is still a lot more work to be done. Therefore, the work of the NTCF in facilitating implementation of the TFA remains of substantial importance. The focus for the National Trade Facilitation Committee should therefore be to look at elements of the WTO TFA that can be mainstreamed into existing national/sectoral policies and initiatives to ensure the maximum benefits to small businesses, as well as to ensure trade and investment opportunities are fully taken advantage of. Focus should also be placed on seeking technical assistance and capacity building support under the WTO Trade Facilitation Agreement and its newly launched project preparation and project implementation grant programmes in order to foster effective implementation of the TFA. I wish to urge the Committee to also look at support programmes available from other development partners, bearing in mind that the provision of support, whether financial or technical, is often a demand-driven process. I wish to thank UNCTAD for granting Guyana the opportunity to benefit under its 2019 Empowerment Programme, and to place on record that UNCTAD’s support is an ongoing and welcomed initiative. The next event is tentatively set for September 2019 to further build on the key outputs of this workshop. As UNCTAD’s technical support remains accessible to us, let us make the most of it to continue the work in fulfilling Guyana’s WTO obligations, particularly as those obligations relate to the requisite notification of category C commitments which are due by August 22, 2019. Successful implementation of the TFA will require collaboration in all directions; between the public and private-sectors, within the public sector and between Guyana and its development partners. There is also need to ensure active and continued dialogue within our National Committee to address new and ongoing trade facilitation issues and to ensure the overall effective implementation of the Agreement. I wish to also encourage the fostering of continuous dialogue at the regional level. Some of you may be aware of the CARICOM Strategy and the work that had commenced at a regional workshop on May 2018, in Guyana, to facilitate dialogue on the development of a Regional Trade Facilitation roadmap. As outlined in the strategy, implementation of specific TFA measures at the regional level are intended to minimize the challenges and the costs associated with implementation nationally. Synergies at the national and regional levels are therefore important they will also create an enabling environment for businesses in Guyana to grow; the promotion regional integration; and the building of social resilience. However, this does not preclude Guyana from moving ahead with its TFA implementation nationally. I trust that we will all embrace the TFA as an opportunity to drive the reforms to make Guyana an even more prosperous place to do business. I wish to reiterate my appreciation for the work carried out by the organisers and facilitators of this programme and wish you a successful week. I wish to formally declare this workshop formally open.